Fiona started painting when she was 22 and has always loved to experiment with different media and subject matter in her work. Since then she has gone on to live in Argentina and New York, and has been inspired by the colours and experiences that she saw whilst travelling around North and South America. Now that she has returned to England, Fiona has brought back a painting style that is vibrant and unique. Fiona believes that art, like music, has a subliminal effect on one's emotions. She has reflected that one painting can completely alter the ambiance of a room or space. Working with this philosophy she has developed a range of acrylic, watercolour and emulsion work that is designed to lift the spirit of the onlooker. 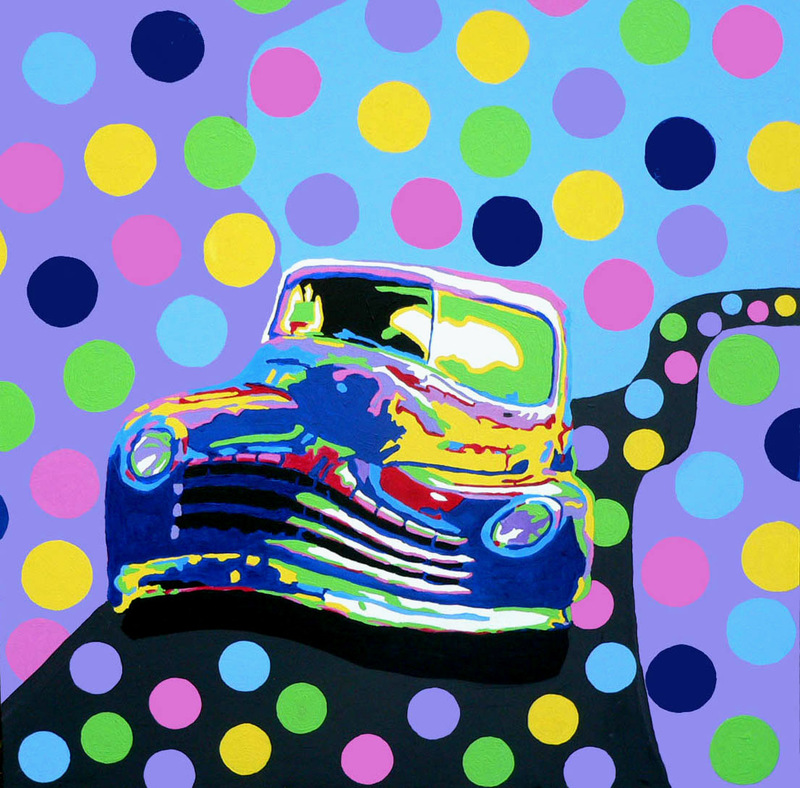 Her work is an amusing reflection of life that injects a colourful contemporary twist to any area. Fiona is happy to work on commissions that are any shape or size.